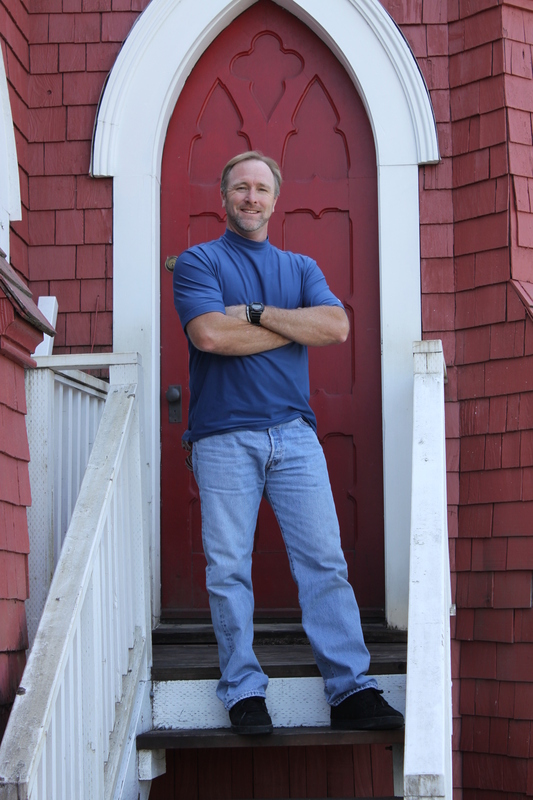 Pastor Jeff Johnson has been a trusted wedding officiant serving the Temecula Valley and surrounding area for over 20 years. He takes the marriage ceremony serious and yet adds personal touches to make it special and unique for each couple. What an amazing day you are about to embark on. Your wedding is something that you have dreamed of all your life. We know you might be busy with the flowers, a photographer and the all important dress, but let us take a few moments to reflect about how important it is to select the right pastor for your ceremony. Many times the one individual who can really have an impact on your ceremony is overlooked. The Pastors job is to make sure you, your fiance and all of your honored guests understand what an amazing gift marriage is. Hello, and thank you for your interest in Pastor My Wedding. My name is Jeff Johnson and God has allowed me to begin this work through His grace and strength. I married my wife Christy in December of 1986. I have four children and 2 daughter in laws. I am currently one of the pastors at Impact Menifee Church. I attended college at Calvary Chapel Murrieta Bible College. I have served as a senior pastor, youth pastor and missions pastor. My family and I have ministered all over the world including: America, Indonesia, Africa, Cambodia, Mexico, and Russia. One of my biggest joys is to be a part of two people committing their lives and families to one another. I find it a great honor and privilege and I am thankful for the opportunity to be a part of this special day. Please take a few moments to fill out this form. 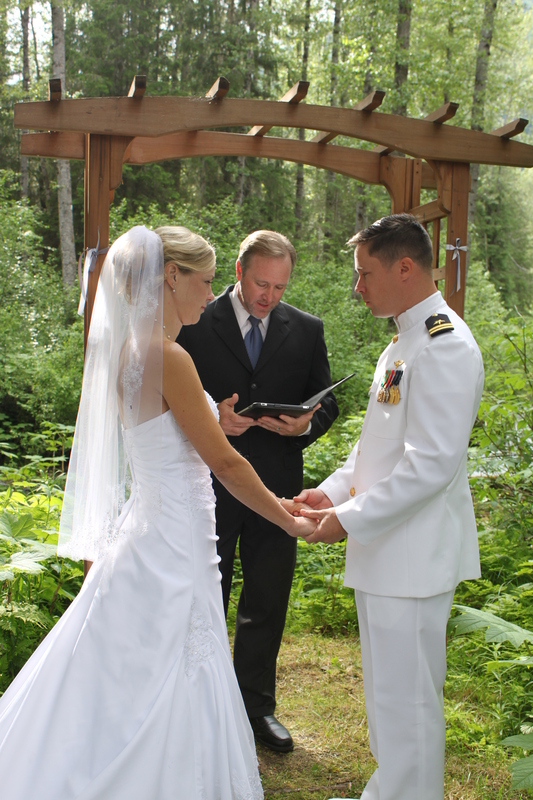 It will insure we have all of the correct information for your special day. (Your giving away words…..) I.E. to father of the bride, who gives this woman away?….her mother and I do…etc…. Good evening. We gather here today to witness and celebrate an act of deep love. “Bride and Groom”, in their devotion, respect, and love for each other wish to unite in the holy bond of marriage, and to dedicate themselves to each other's happiness and well‑being as life mates and partners. On behalf of them, I welcome you all. Although this is their day, it is also a tribute to their family and friends. For knowing you and interacting with you has helped to make our” Bride and Groom” who they needed to be to find each other. They would like to thank you all for that. All of you are the threads of which are woven the tapestry of their lives. You all hold a place in their hearts reserved for those that they have chosen to call 'Family' and “Friends” and they are deeply grateful for each and every one of you here today. “Bride and Groom” want to acknowledge their parents on this occasion, “Parents Names”. They offer their profound gratitude to their parents for all the love and care they showed in raising them. The unconditional gifts of love and support that you have continually offered have inspired them to become who they are today, and they thank you, from the bottom of their hearts, for guiding them to this celebration of love here today. Without you, this day would not be possible. After speaking to you both, it is obvious that you already know some of the great blessings marriage has to offer. It is an opportunity to feel the joy of taking care of someone who takes care of you, to be challenged towards growth yet gently nurtured, to love deeply and receive it in return. It is about trust, friendship and having a partner to share all life has to offer. It is a commitment to participate in a process of mutual evolution, understanding and forgiveness. It is indeed a sacred union to be treated with reverence. Marriage is a safe place to grow and become wiser. It is a place to evolve into better people; so that you can go out in the world and make a difference by spreading the joy and wisdom that you have found with each other. Together in this marriage, you shall contribute more fully, for you both shall be more full. “Bride and Groom”, Please face each other and take each other’s hands, so that you may see the gift that they are to you. These are the hands that will countless times wipe the tears of sorrow and of joy, from your eyes. “Bride and Groom”, If you are ready to step into the holy circle of matrimony please so indicate by joining hands. And so we come to the presentation of rings by which you symbolize and bind your love. Let the seamless circle of these rings become the symbol of your endless love and unending faithfulness. Your wedding rings are most special because they say that even in your uniqueness you have chosen to be bonded, to allow the presence of another human being to enhance who you are. As you wear them through time, they will reflect not only who you are but also the glorious union that you are now creating. “Groom”, place the ring on “Bride’s” finger and repeat after me: With this ring, I pledge my love and faithfulness to you for better, for worse, for richer, for poorer, in sickness and in health as long as we both shall live. “Bride”, place the ring on “Brides” finger and repeat after me: With this ring, I pledge my love and faithfulness to you, for better, for worse, for richer, for poorer, in sickness and in health as long as we both shall live. Now, as a representative of Jesus Christ and the State of California, In the name of the Father, the Son, and the Holy Spirit, I now pronounce you: Husband and Wife! You may kiss your Bride. Pastor Jeff Johnson, you provided a very beautiful wedding ceremony! Thank you so much for officiating our wedding! Our ceremony could not of been any better. Thank you again for the beautiful ceremony you performed for our kids. I have to thank you again so much for making our wedding day ceremony absolutely perfect!